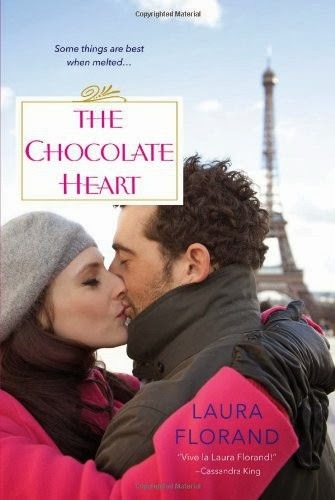 ﻿ Fab Fantasy Fiction: Laura Florand's The Chocolate Heart is a Parisian Valentine and a must-read in my book! Chocolate and Paris - who wouldn't love this winning combination? Summer Corey, that's who. Summer is author Laura Florand's newest heroine in her Amour et Chocolat series, which is as addictive as the chocolate her chocolatiers and pastry chefs create. In book five of the series, The Chocolate Heart, Summer is given a five-star Parisian landmark hotel by her father in order to compel her home from her South Seas idyll. Well really not an idyll as she is the lone teacher there for the island's native inhabitants, but everyone sees her as just a party girl - think Paris Hilton. When Summer arrives at the hotel, jet-lagged from her two-day non-stop trip, she inadvertently propositions the hotel's star pastry chef Luc Leroi. However the proposition wasn't really one-sided as it seems that the sparks between them go both ways. However, Luc is in love with Paris and feels for the first time in his life at home as a success, while Summer can't wait to escape back to her students (screensavers of her time there are front and center always in her suite). Even though her father and mother seem totally estranged from her, their quest for her to be "normal" within their jet-set mogul lifestyle includes setting her up with quite a few like-minded moguls - that would not include a pastry chef no matter how talented. As many times as Luc tries to tempt her with desserts - each more wonderful than the other - Summer refuses. Is there any way that these two will become a couple? So, will they work things out? And what mysteries are there between the two of them? It's a fabulous journey that Florand offers us with The Chocolate Heart and like the other books in her series captures a true sense of this city that everyone loves. I can't afford an airline ticket right now, so this book served as my taste of a city that feels like my second home. 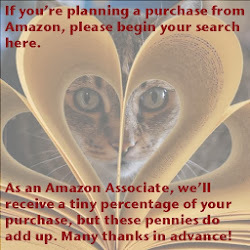 If you haven't already done so, please do add Florand's Amour et Chocolat and La Vie en Rose (set in Provence) series to your TBR shelves. I devoured these books, along with a cup of hot chocolate that unfortunately didn't rival my memory of Angelina's and a few Kleenex's too. The Chocolate Heart is a five star winner in my book! Mille-Feuilles can't buy you love. . .
No one hates Paris--except Summer Corey. The moody winters. The artists and their ennui. The inescapable shadow of the Tour Eiffel. But things go from bad to worse when Summer stumbles into brooding, gorgeous chef pâtissier Luc Leroi and indecently propositions the hero of French cuisine. . . There is only one way to tempt her. A perfect, impossibly sweet seduction. . .